Employees are your company’s greatest asset. As time pass, your number of employees in your company will increase as you expand your business. Therefore, it is advisable to have a good system to manage their information. Adding new employees will be easy using Online Inventory Management System Malaysia. Once the employee account is created, they can check their profiles and keep their work in check. You can add new employees by following the steps as shown below. 1. 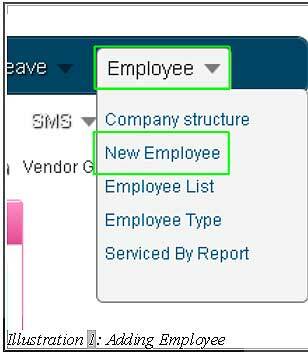 Click on “New Employee” (Employee > New Employee) on the navigation menu bar. 2. This pop up window displays the missing “Requirements” of adding an employee. 3. Go to “Personal” tab to start keying in the employee details. Details such as “Name(as per NRIC)” and “IC” number followed by “Email” and “Hand-phone” number are required to complete the step. 4. Go to “System Account” tab, insert “UserType” and “Group Permission”. By default, the usertype is employee, group permission is admin. 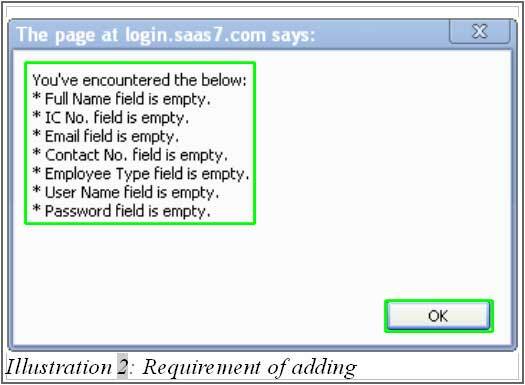 Fill in Username and Password so the employee can log in to the system after the account is created. 5. 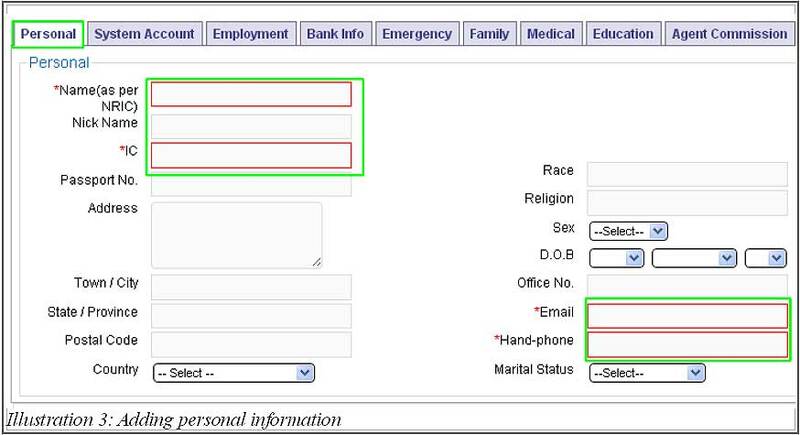 Go to “Employment” tab, select the “Branch” where the employee is working and also which “Department” they belong to. Lastly select the “Employee Type”. 6. After everything is filled in, click on “Save” button to save. 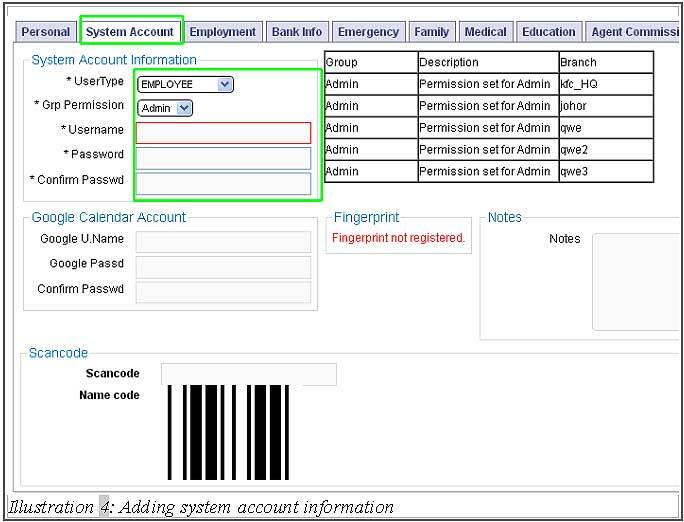 The employee can now login to the system using the username and password.